‘Dheepan’ has won the top prize at the 68th Cannes Film Festival, the Palme d’Or. 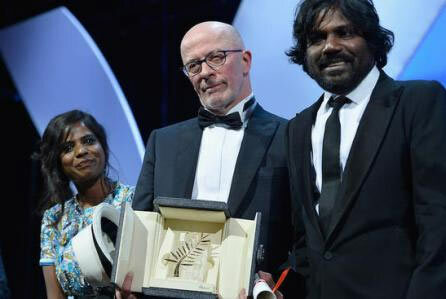 The Jacques Audiard-directed drama, which centres on refugees fleeing post-civil war Sri Lanka for a life in France, surprisingly claimed the coveted award after being selected by a judging panel led by acclaimed US filmmakers Joel and Ethan Coen. Elsewhere, ‘Son of Saul’ – a Holocaust drama – won the Grand Prix prize, which is essentially the runner-up award, while Vincent Lindon won Best Actor for his role in Stephane Brize’s ‘The Measure of a Man’.and Rooney Mara and Emmanuelle Bercot shared the Best Actress gong.